PEL 6, PEL 427 and PEL 428 are located in the Gunnedah Basin in northern New South Wales and cover an area greater than 18,000km2. All three permits are located immediately north and west of Santos’ Narrabri Gas Project and Wilga Park Power Station in PEL 238. Comet Ridge first gained interests in PEL 427 and PEL 428 via a transfer of ownership from Strike Energy in 2004. Both permits have a complex history of equity exchanges through multiple joint venture and transfer arrangements. These permits have separate Coal Seam Gas Conventional Oil and Gas interests. Comet Ridge acquired Davidson Prospecting in October 2010, which increased Comet Ridge’s CSG interest in PEL 428 from 20% to 40%. In June 2012, Comet Ridge announced that it had signed an Asset Sale Agreement to acquire an interest in PEL 6, and further interests in PEL 427 and PEL 428 from Petrel Energy Limited. 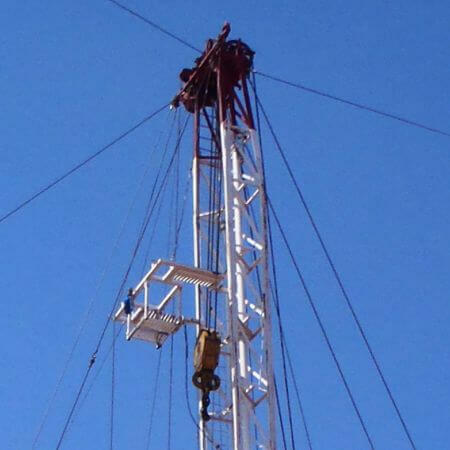 In April 2013, Comet Ridge announced that it had finalised an Asset Sale Agreement for the acquisition of Petrel Energy Limited’s interests in PEL 6, PEL 427 and PEL 428 in the Gunnedah Basin in northern New South Wales. Santos and Energy Australia hold the remaining CSG interests in all three tenement areas. Comet Ridge is the conventional interest operator. Santos is the CSG interest operator. The Permo-Triassic Gunnedah Basin forms the central portion of a much larger Sydney-Gunnedah-Bowen Basin system. The Jurassic-Cretaceous Surat Basin sequence unconformable overlies the Gunnedah Basin in the permit areas. Three coal seam gas targets have been identified in the northern Gunnedah Basin including the Cretaceous Bungil Formation, Triassic Moolayember Formation and Permian Black Jack Group and Maules Creek Formation. The most promising results to date have come from the Permian Black Jack Group and Maules Creek coal sequence where recoverable quantities of commercial gas have been discovered and are being developed by Santos in PEL 238, directly south of PEL 427. Conventional petroleum exploration for oil and gas has been occurred over the northern Gunnedah Basin since the early 1960’s. While the presence of oil has been noted in wells drilled in the northern Gunnedah Basin, no commercial quantities have been identified. Conventional gas resources have been delineated in three areas; Coonarah, Bohena and Wilga Park in the northern Gunnedah Basin. Gas has also been recorded over the Permian sequence of the Gunnedah Basin and overlying Triassic strata of the Surat Basin. Oil and gas recoveries indicate an active petroleum system is present over the northern Gunnedah Basin. Potential reservoirs include sandstones within the Permian Black Jack Group and Napperby Formation and Early Triassic Digby and Watermark Formation. Average sandstone porosities range between 10-30% at shallow depths and decrease to <15% at depths greater than 2000m. Prior to Comet Ridge’s acquisition of interest in June 2012, 3 coal seam gas wells and 12 conventional petroleum wells had been drilled in PEL 6. Three CSG exploration wells; Gwydir-1, Milguy-1 and Camurra-2 were drilled between March 2009 and June 2010. Situated in the southern half of PEL 6, each of these wells was designed to test the Middle Triassic coals of the Moolayember Formation. This programme confirmed the consistent widespread presence and gas content of the Moolayember Formation coals. Depth of the top of the Moolayember Formation in the southern part of the tenure area is between 300-800m. Gas content up to 7.3m3/t and net coal over 8m were intersected in Milguy 1. The future focus for CSG exploration in PEL 6 is the Permian Maules Creek Formation. Thick Early Permian coals have been intersected in the southern part of the Taroom Trough by conventional exploration wells. Most of the coals intersected in the northern part of the permit area at depths greater than 1500m, which is generally considered too deep for CSG exploration. Further exploration is required in the Willow Park area in the south of the permit area where the Permian interval is interpreted to be at depths suitable for CSG exploration. The majority of conventional oil and gas exploration has occurred in the northern and central part of the tenure area where most of the 2D seismic has been acquired. 10 wells were drilled prior to 2000 in the permit area. Minor oil and gas shows were recorded in several wells, with the most significant from Willaroo-1 which recovered 2-4bbls of live oil from the Upper Back Creek Group and bitumen from Toenda-ST1. 8 wells have been drilled in PEL 427 since 1969. 7 wells were drilled targeting conventional gas resources and 1 well has been drilled targeting coal seam gas. Two wells have been drilled in the south east corner of PEL 427, Bellata 1 and Bellata 2, both targeting conventional gas prospects. Oil staining and a “petroliferous odour” were recorded throughout the lower part of the Jurassic section and gas shows were recorded over Jurassic sand intervals in Bellata 1. Comet Ridge Limited drilled Bellata 2 in 2004 to further test these intervals. Gas shows were recorded over the Jurassic Pilliga Sandstone and Purlawaugh Formations. The Permian coals were intersected at Bellata 1, with over 3.0m of coal intersected in the Hoskisson’s and Bohena seam equivalent. No testing was undertaken over the Permian coals at time of drilling. Coals within the Permian sequence recorded a reflectance value of between 0.51-0.62% indicating these source rocks lie within the early oil generation window. Bellata 2 well did not target the deeper Permian coals and was terminated in the Upper Triassic. In 2007 103km of 2D seismic was acquired over PEL 427 and PEL 428. In March 2009, Moree 4 core hole was drilled in the north of PEL 427 as a twin to Moree 1 well to further evaluate the CSG potential of the Cretaceous Bungil Formation. This well was drilled to a depth of 495m and encountered approximately five metres of coal in the Bungil Formation. Moree 1 well was drilled as a conventional petroleum well targeting stratigraphic traps within the Early-Middle Triassic sandstone intervals. The Triassic Moolayember Formation is approximately 1060m in depth at this location and was not targeted for CSG evaluation. Despite not being tested for CSG potential, in PEL 427, the Permian coals within the Bellata Trough are a prospective CSG target. The Permian coals identified in Bellata 1 are believed to be the northern extension of the coal formations seen in the Edgeroi and Blue Hills wells drilled by Eastern Star Gas in PEL 238. Edgeroi-1 and Edgeroi-2 were drilled in PEL238 in the Bellata Trough directly to the south of PEL 427. Edgeroi-2 was drilled by Eastern Star Gas in 2010 to evaluate the coals within the Permian Black Jack Group and Maules Creek Group. The well intersected over 25m of coal over both coal intervals. The Hoskissons seam of the Later Permian Black Jack Group had an average gas content of 5.9m3/t (DAF) while the Bohena seam from the Early Permian Maules Creek Formation had an average gas content of 14.2m3/t. Depth to top of coals here is between 800and 1050m. Coals are saturated with good permeability. Exploration activities in PEL 427 have been focused on better delineating the extent of the Permian coals in the Bellata Trough, in the south east of the permit. The focus of future exploration in PEL 427 will be undertaking further evaluation of the Bellata Trough for both CSG and conventional hydrocarbons through seismic acquisition and an exploration drilling program. An extensive review of the magnetic and gravity data sets available over the northern Gunnedah Basin completed in early 2012. This exercise has identified some very promising new prospects north and north west of the Bellata Trough, and these now also need to be tested through a combination of seismic and exploration drilling. In 2010 Comet Ridge announced it had signed a Binding Heads of Agreement (HOA) to acquire Greenpower Energy Limited’s (ASX:GPP) 20% interest in PEL 428, lifting Comet Ridge’s stake in the Joint Venture to 40%. Four wells have been drilled in PEL 428 since 1963. Barradine West 1 and 2 were drilled in the southern part of the permit area as wild cat wells and intersected Cretaceous-Triassic sequence with no shows. No Permian was present at either of these locations. In April 2009, Kurrabooma 1 core hole in the north west of PEL 428 as the first coal seam gas exploration well in the permit. The well was drilled to evaluate the CSG potential of the Bungil Formation. This well was drilled to a depth of 439m and encountered approximately four metres of coal in the Bungil Formation. Gas contents were up to 4.1m3/t, however the coals were undersaturated. The extensive review of the magnetic and gravity data sets available over the northern Gunnedah Basin completed in early 2012 has identified some very promising new prospects in the north of PEL 428, including a better understanding of the likely extent of the Pilliga Trough. These new prospects need to be tested through a combination of seismic data acquisition and exploration drilling. Comet Ridge is currently carrying out desktop studies of existing data to better understand the conventional petroleum prospectivity of the three permits in which Comet Ridge controls nearly 100% of the equity. While the study is not complete, work carried out to date has generated some potential leads which will require more work to be undertaken. Unfortunately since 2011, no operational activities have been able to be completed on the ground primarily due to external factors including government restrictions and policy decisions including a period of moratorium on CSG activities in NSW and land access issues. The current approved work program is focussed on community engagement, environmental studies, groundwater monitoring and geological desktop studies. Comet Ridge continues to work with Joint Venture partner and CSG Operator Santos, to plan the future work programme to evaluate a number of Permian- aged troughs that have been identified through the large acreage position in the northern part of the Gunnedah Basin. Several of these troughs may contain large volumes of recoverable gas, in similar fashion to the Bohena Trough just to the south of PEL 427. These permit areas are strategically located in an area which has potential to be a major coal seam gas producing province, with gas to flow south to Newcastle and Sydney to meet an important part of NSW’s gas needs. It has been widely documented that a gas supply shortage is looming in NSW. Retail and industrial customers will suffer because of minority ideological interests that are opposed to fossil fuels, who continue to spread fear and mistruths in the NSW media. The Gunnedah Basin has a large volume of existing proven and probable gas reserves in the Santos and Energy Australia’s Narrabri Gas Project, and also large potential for future gas reserves further north and west in Comet Ridge held acreage. Copyright © 2018 Comet Ridge Limited, all rights reserved.